Run BOTH the 5K & Half ! Register early as prices do increase and spots may sell out. AMAZING MID-RUN PHOTOS: CITY & BRIDGE COURSE PHOTOS ARE AVAILABLE FREE! 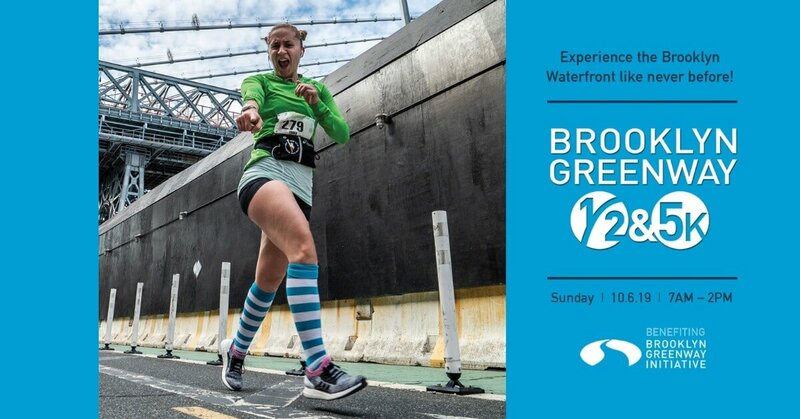 Experience the Brooklyn Waterfront like never before at the only half marathon and 5K exclusively held on the Brooklyn Waterfront Greenway. Take in unique and memorable urban views including the skylines of midtown and lower Manhattan, the iconic Brooklyn, Manhattan and Williamsburg Bridges, and run through city, state and industrial parks including Brooklyn Bridge Park and the Brooklyn Navy Yard. NEW THIS YEAR, 'The Greenway Replay' COMBO OPTION! Run both the 5K at 8:30AM then the Half Marathon at 9:30AM! TWICE THE FINISHER MEDALS!! 5K $35.00 / Half $60.00 / COMBO $85- Now to May 25! *Please note shirt size availability (Men and Women sizes) are on a 1st come basis. FINISHER MEDALS & TEE Shirts for ALL! There are no age groups awards for the 5K or the Greenway Replay combo. Have questions about the what is permitted on the course, race day, parking, etc. please click: FAQ's HERE!